A wait-and-see approach in healthcare can be habit-forming. Especially in the face of political gridlock. “Maybe I can keep my current healthplan.” “ Maybe the medical devices tax will be repealed.” “Maybe the next electronic health records software will be easier to implement.” “Maybe Obamacare will go away.” Uncertainty is a great excuse to defer or avoid change. But whether you vote Republican or Democrat, whether you live in a red state or a blue state, there is one train in healthcare that is not about to be derailed. Suppliers of medical devices, diagnostics, software and pharmaceuticals must understand and quantify the value of their offerings. As a former biotech CFO and CEO for a decade-and-a-half, I have to say it’s about time. 6. Michael Porter writes an article in the New England Journal of Medicine and co-authors a book on healthcare strategy, both with “value” in the title. The need to talk about quantified value should be a no-brainer, shouldn’t it? Yet it’s amazing how few healthcare suppliers have taken the steps necessary to make value a pervasive organizational language for designing, evaluating, marketing and selling their products. In other industries, talking about quantified value has been a normal and natural act. In the 1980’s and 1990’s, we always quantified the value of new financial products in development. But when I landed in biotech in the late 1990’s, I have to admit that I wondered what planet I was on. The subject of value in healthcare was regularly greeted with an upturned nose or viewed as “less than appropriate.” It was fine to talk about product benefits in terms of clinical efficacy, patient safety or even ease of use. But quantified value, measured in dollars and cents, was often a foreign language. Don’t get me wrong; this wasn’t universal. In my first biotech company, we deliberately designed clinical trials to provide value-quantifying outcomes. And value was part of our conversation even when we weren’t discussing the price of our product. Times have changed. Today speaking value in healthcare no longer requires an interpreter. At a non-profit or a government healthplan. In the most patient-centric hospital. With the most compassionate, or saintly physician. 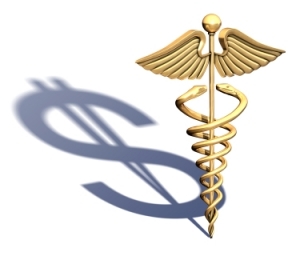 Healthcare buyers and providers are rapidly becoming fluent in the language. It’s time to make value central to the decisions and discussions of healthcare product suppliers. Understanding value is not a specialized function to be siloed in a pharmacoeconomics group or confined to a market access group. And medical devices, diagnostics, software and pharmaceutical suppliers need the tools to speak that language. Every day. Peyton Marshall is CEO of LeveragePoint. Previously, he served as CFO and Acting CEO at PanacosPharmaceuticals, Inc., CFO of EPIX Pharmaceuticals, Inc. and as CFO of The Medicines Company through their initial public offering and the commercial launch of Angiomax®. Previously, he was an investment banker in London at Union Bank of Switzerland, and at Goldman Sachs where he was head of European product development. He has served on the faculty in the Economics Department at Vanderbilt University. Dr. Marshall holds an AB in Economics from Davidson College and a PhD in Economics from the Massachusetts Institute of Technology.